With MyAccount, you are able Top Up your data usage online without the need to contact us. 2. 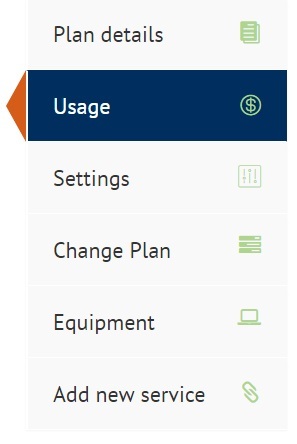 Under the “Plans + Usage” tab, click on the active service you wish to Top Up your data for. 5. Select the desired amount by clicking on the appropriate button. 6. Please wait until the Data Top Up has been processed. You will receive a confirmation within few seconds. How to choose services to create a bundle (and save money)?